Boost Your Productivity. Conquer Overwhelm. Build Your Dream Team, and More! Whether you are a start up or you’ve been in business for 10, 20 years, there are always new challenges in every stage of business growth. But, you don’t have to struggle through the challenges alone. Type in your questions in the comment box below or send me a voice message by clicking the green button below. I answer everyone’s questions on my weekly blog and on my upcoming new podcast show on the Friday Q & A episodes. 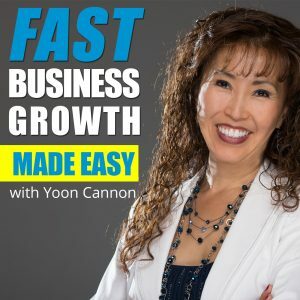 ** By submitting your question through the above voice recording app you are giving permission to Yoon Cannon of Paramount Business Coach, LLC to publish your voice recording in any format as we see fit (ie audio, video, print, etc) for use in our marketing content including being aired on the Fast Business Growth Made Easy podcast show. Want to hear a sample Q&A episode?